We have prepared another great activity for this December in order to keep helping Àlex and raise more funds to mitigate their Autism Spectrum Disorder (ASD) and get a better life quality. 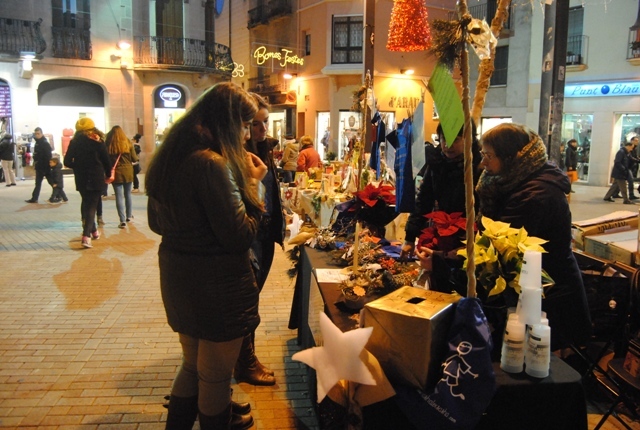 In the following weekends, we will be at Fira de Nadal d’Igualada, a traditional Christmas fair that it will be celebrated at Igualada’s city center. We will be selling several merchandising products to help promote our cause and keep helping Àlex. In this fair you can purchase customized shirts, polyester bags, bracelets, reusable cups, plates and lottery numbers. All the benefits obtained will improve on Àlex. 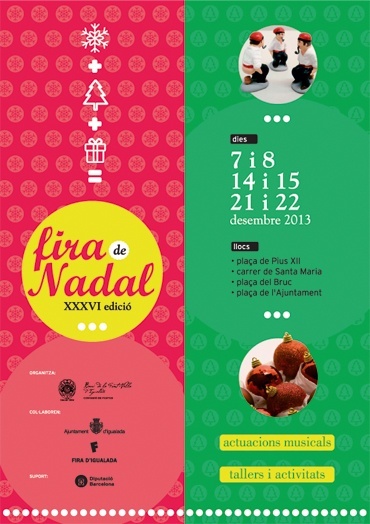 The Fira de Nadal d’Igualada is celebrated at down-town at the following streets and squares: Plaça Pius XII, carrer de Santa Maria, Plaça del Bruc and Plaça de l’Ajuntament. The event is celebrated the following weekends of December: 7th/8th, the 14th/15th and the 21th/22th, from 10AM until 8:30PM. We have collaborated with several friends, who has helped us in this event: the Floristeria NUS (Igualada), who had created a traditional Christmas space, Decotext Llar (Igualada), who dressed the table with a black tablecloth; Tallers Clapera who had created Christmas decorations, but especially the Comissió de Festes Barri de la Font-Vella d’Igualada and Fira d’Igualada, the organizers of this Christmas fair, and who had accepted our participation. We would like to thank everyone for your support!